﻿ Best Price on Tropical Island Apartahotel in Santo Domingo + Reviews! Have a question for Tropical Island Apartahotel? Situated in Los Frailes, Tropical Island Apartahotel is the perfect place to experience Santo Domingo and its surroundings. From here, guests can enjoy easy access to all that the lively city has to offer. A well-kempt environment and its proximity to Reloj de Sol, La Casa de Los Jesuitas, The 3 Eyes National Park give to this hotel a special charm. At Tropical Island Apartahotel, every effort is made to make guests feel comfortable. To do so, the hotel provides the best in services and amenities. A selection of top-class facilities such as free Wi-Fi in all rooms, 24-hour security, chapel, convenience store, daily housekeeping can be enjoyed at the hotel. 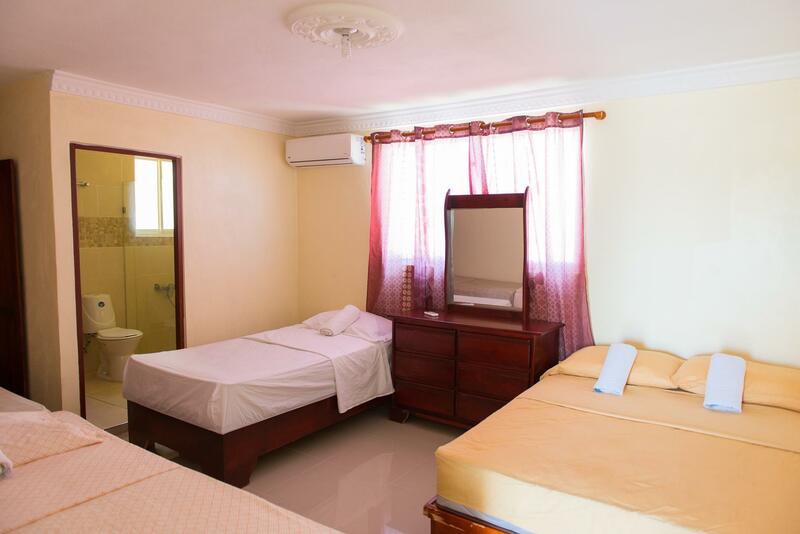 The hotel features 40 beautifully appointed guest rooms, many of which include television LCD/plasma screen, cleaning products, clothes rack, complimentary tea, linens. The hotel offers wonderful recreational facilities such as hot tub, fishing, garden to make your stay truly unforgettable. 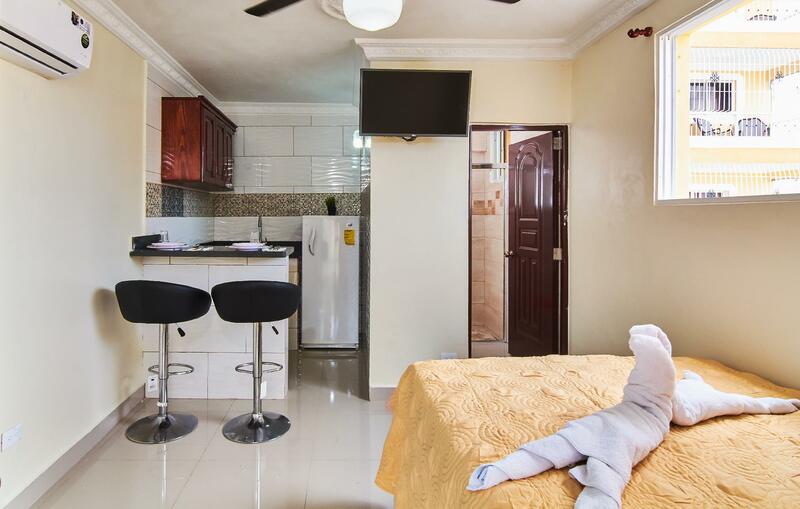 Tropical Island Apartahotel is a smart choice for travelers to Santo Domingo, offering a relaxed and hassle-free stay every time. The apartment was very clean, the staff was very nice and the price was perfect. I strongly recommend. Booked a "Luxury Studio with Sea View " for two adults. It was functional at best. Not a hint of luxury, no seaview anywhere and it was clearly meant for single occupancy.